An impressive update to the B1, Profoto has introduced the B1X flash, featuring a new LED modeling light that adds 80% more light output, with an increased CRI of over 90. This significant upgrade is all about power. In addition to the LED modeling light and increased color rendering capability, the B1X has a more powerful battery that holds 50% more energy and an extended HSS power range, making it an ideal on-location tool for photographers. Whether used in that capacity or as a main or an effects light, the B1X is designed to enhance natural light in less than stellar shooting conditions. Additionally, the B1X’s new battery also fits existing B1 flashes and B1 chargers, and in HSS mode, it has the same power range as in normal flash range, which is 9 ƒ-stops for compatible cameras. According to Profoto, that gives the B1X the widest HSS range available on any flash for shaping light in a variety of lighting conditions. 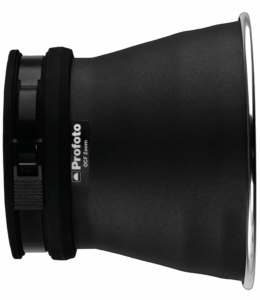 And existing B1 owners can download and install this as a free upgrade from the Profoto website. Cordless design and wireless controls allow you to shoot without any restraints. With the launch of the B1X, Profoto also introduced two new OCF reflectors, the OCF Zoom Reflector and the OCF Magnum Reflector. These light-shaping tools are compact, lightweight and ultraportable, and easily fit in the B1 case, even when mounted to a B1 or B1X flash. The OCF Zoom Reflector (top) is designed to double the effective light output at a range of two meters; the slightly larger OCF Magnum Reflector (bottom) is ideal for throwing light over long distances without being overpowered by natural light. 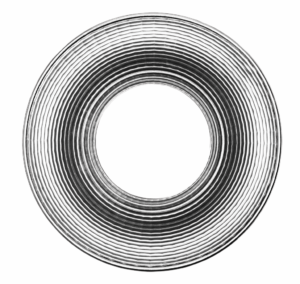 Both devices offer a wide beam angle adjustment range. Profoto takes location shooting to new heights with the B1X and two new OCF Hard Reflectors. 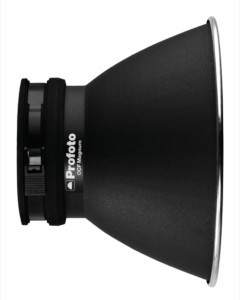 Ever since Profoto redefined the on-location flash with the creation of the B1, it has become the benchmark. 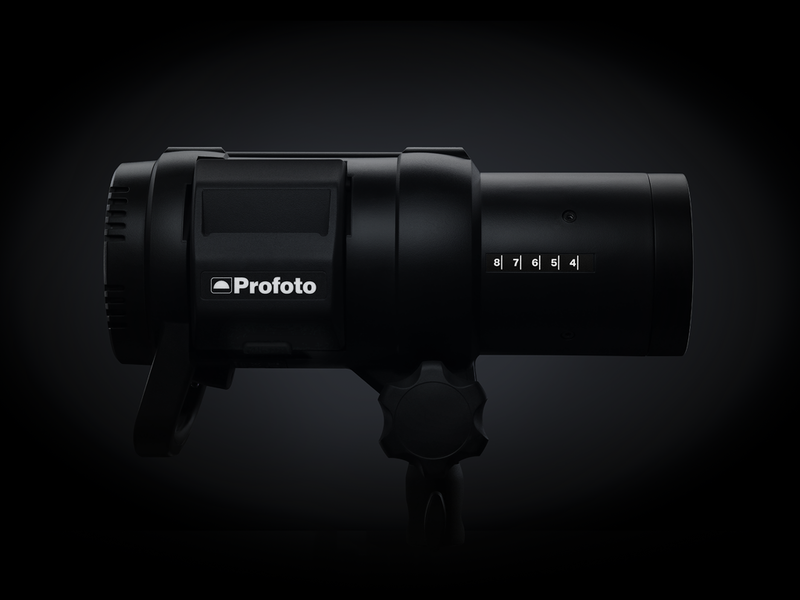 Now the benchmark is about to be set again with the launch of the Profoto B1X. This is more than an update, it is a significant replacement with improvements in three important areas: power, power and power. A more powerful modelling light, a more powerful battery and extended HSS power range. And when we talk about power in all the right places, we really mean it. 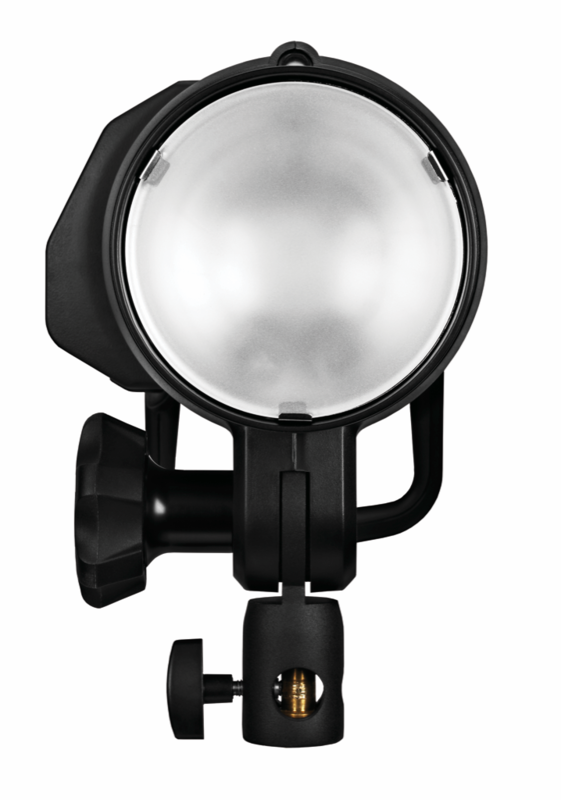 Like its predecessor, the B1X is the ultimate on-location flash. The B1X features a new LED modelling light which adds 80% more light output, while increasing color rendering (CRI) beyond 90. The additional power and improved color rendering make it even more useful as an on-location modelling light, while also becoming an extremely efficient main or effect light, helping you to enhance natural light in dull conditions. It’s not unusual for shooting days to go on for longer than expected so you need a battery that can do the same. The new battery pack holds an impressive 50% more energy with no extra size or weight. It also fits existing B1s and B1 chargers. And now, in HSS mode, the B1X has the same power range as in normal flash mode – 9 f-stops for all compatible cameras! That makes it the widest HSS range available on any flash so it’s even easier to shape light with flash in all light conditions including sunrise, broad daylight and sunset (existing B1 owners can download and install this as an upgrade free of charge from the Profoto website). Speaking of power, we’re also launching two new OCF reflectors that add lots of punch and direction to overpower the sun. Adding hard light to the shaping palette of Profoto OCF Light Shaping Tools, the OCF Zoom Reflector and the OCF Magnum Reflector are compact and lightweight, making them ideal for shooting on-location. The OCF Zoom Reflector is so portable it even fits into the B1 case while mounted on the B1 or B1X – a handy timesaver when packing up. The OCF Zoom Reflector doubles the effective light output at a two meter range, while the slightly larger OCF Magnum Reflector adds even more effective power output making it perfect for throwing light over long distances without being overpowered by natural light. 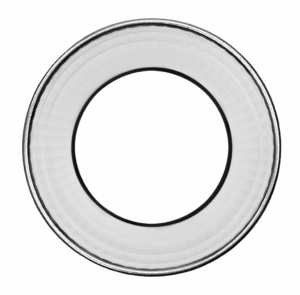 Both reflectors also offer a wide beam angle adjustment range that further extends light shaping opportunities. The B1X and the two new reflectors continue our dedication to on-location shooting alongside the B2 and our existing range of OCF Light Shaping Tools. In addition, we’ve recently also extended our camera TTL compatibility to four major brands with AirTTL remotes now available for Canon and Nikon, and official Profoto partners Sony and Olympus. Truth is the only people who can improve on an original are the people who made the original. 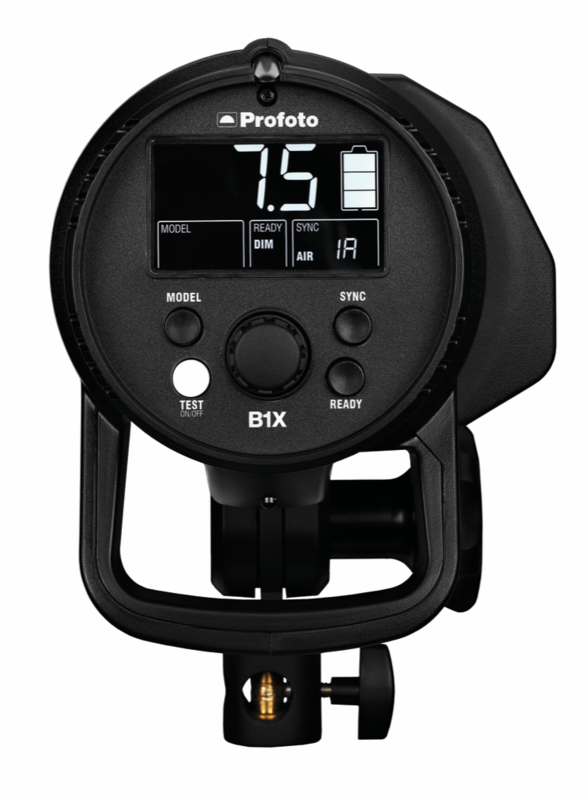 Born of the B1 come the all new B1X and new Profoto OCF Light Shaping Tools. No matter where you’re shooting, you’ll have power in all the right places. Depth: 140mm; The size is small enough to fit the reflector into BackPack M, Bag XS and Bag S Plus when mounted onto B1X, B1, D1 or D2.